The WI offers members a wide range of opportunities to develop and practise floral art skills as members, within WIs, federations and within the WI. Make it yourself or get a group together? Be creative with the colour, shape or form. Whether you are interested in learning how to create a beautiful flower arrangement for the home, or as a gift, to the more advanced and technical such as becoming an NFWI Floral Art Judge, there is something for everyone, from beginner to the more advanced. 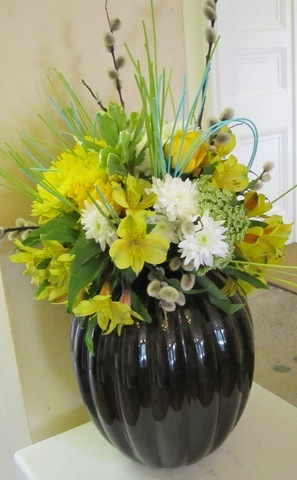 As part of our ongoing commitment to find a variety of ways to help WI members to continue to improve their skills, or learn a new one, the NFWI teamed up with NAFAS (National Association of Flower Arrangement Societies) to deliver Floral Art workshops in 2016, tutored by NAFAS teachers to create contemporary exhibits; one in Kent and one in Oxfordshire. WI Members created stunning work.